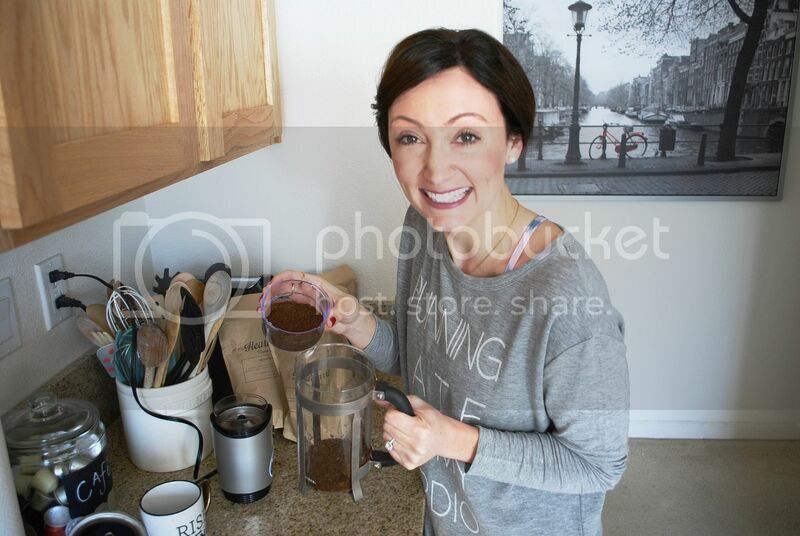 I love starting my day with a fresh cup of coffee. And when I say love, I MEAN LOVE. 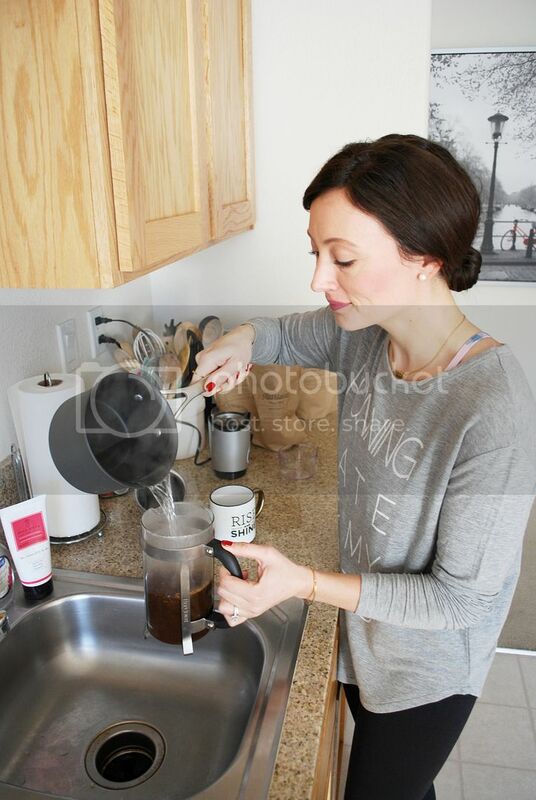 Like we own a Keurig, a Nespresso machine, a plain coffee pot and a french press. Ok ok, I know a little ridiculous BUT I like options people! I love our Keurig because it’s quick and perfect for filling up your thermos cup as you are heading out the door for work. And I love our Nespresso machine because it creates the most delicious (and pretty) espresso ever and you can make fancier drinks with it. 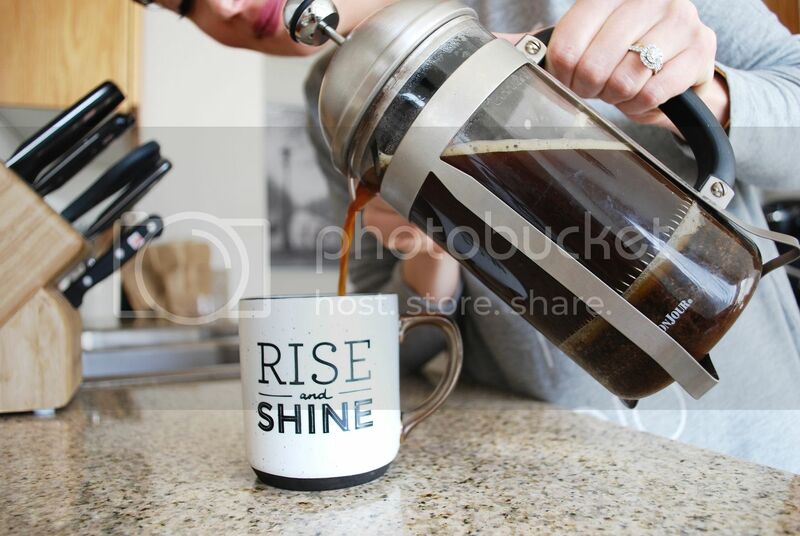 But sometimes if I have time in the morning, I crave a good strong french press coffee. 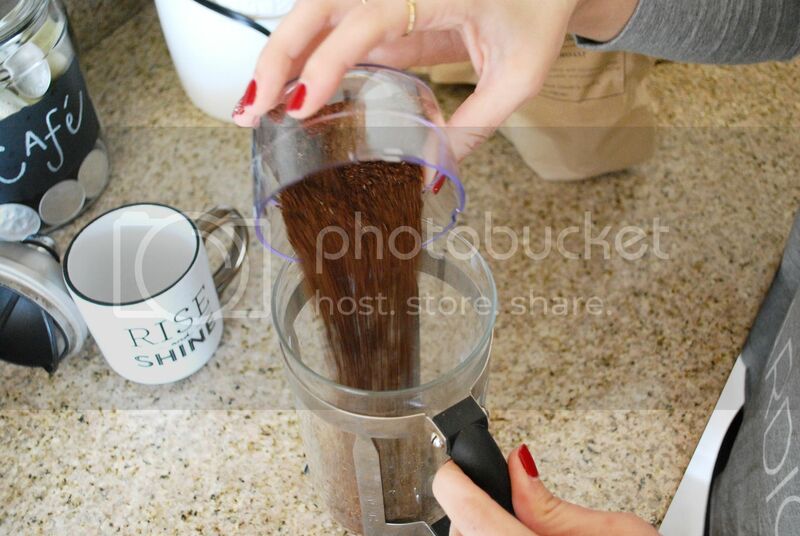 There’s just something about the way french press coffee tastes that is so different. To me, it’s stronger, bolder and full of much more flavor. 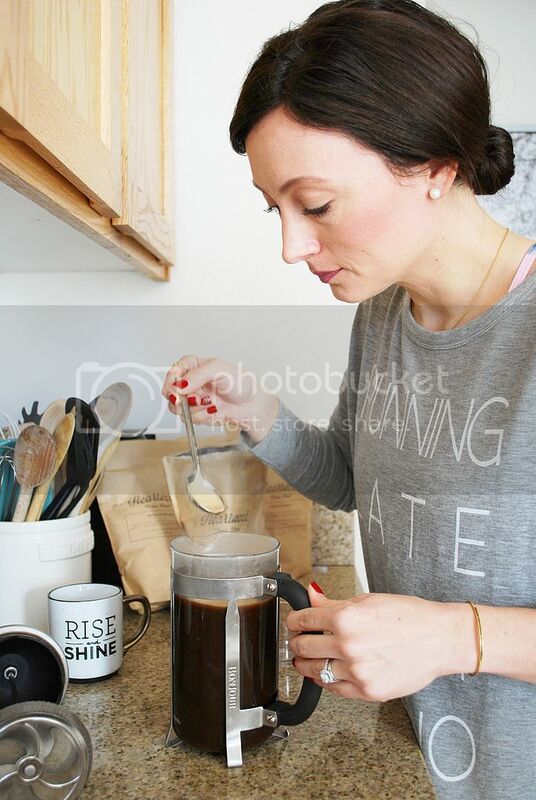 One of my favorite things about french press coffee is the variety of beautiful beans from around the world that you can grind yourself to brew the coffee. 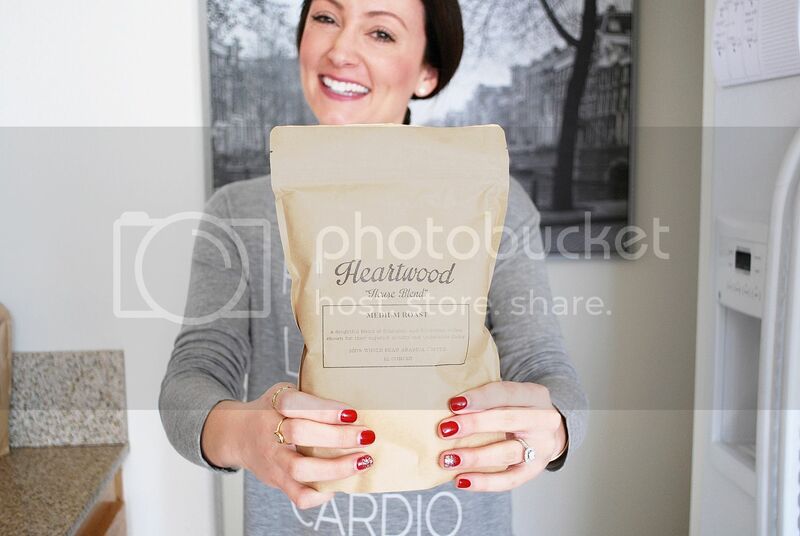 When I first heard about Heartwood Coffee Club I couldn’t be more excited. 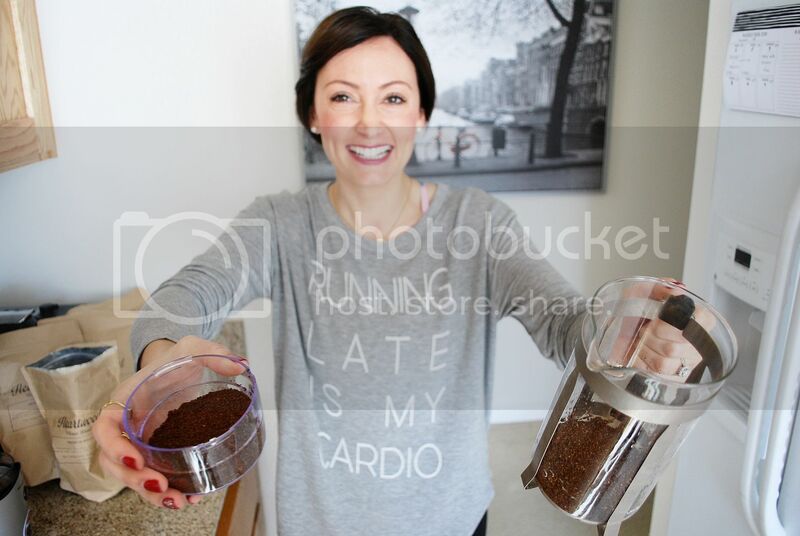 Receiving two bags of fresh, high quality coffee straight to my doorstep every month from Cleveland?! Yes please! 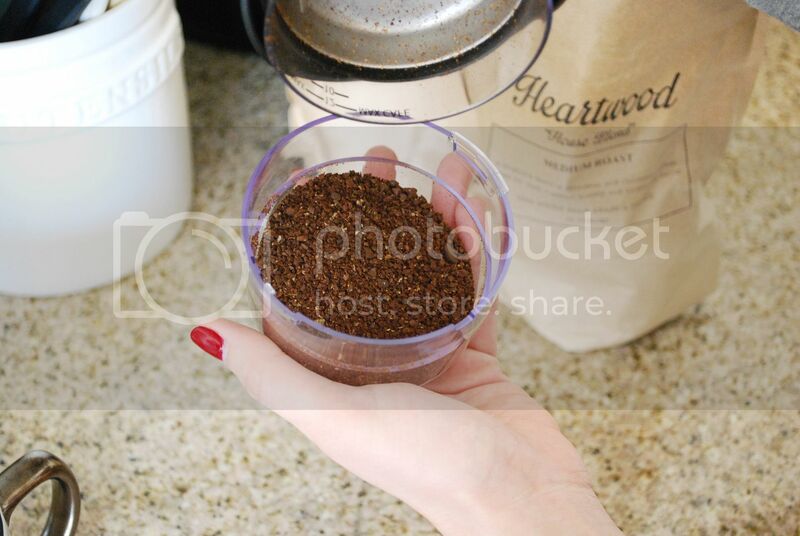 I was a little skeptical at first because I’m picky about my coffee but let me tell you, this coffee is delicious! And not only delicious but SO full of flavor. 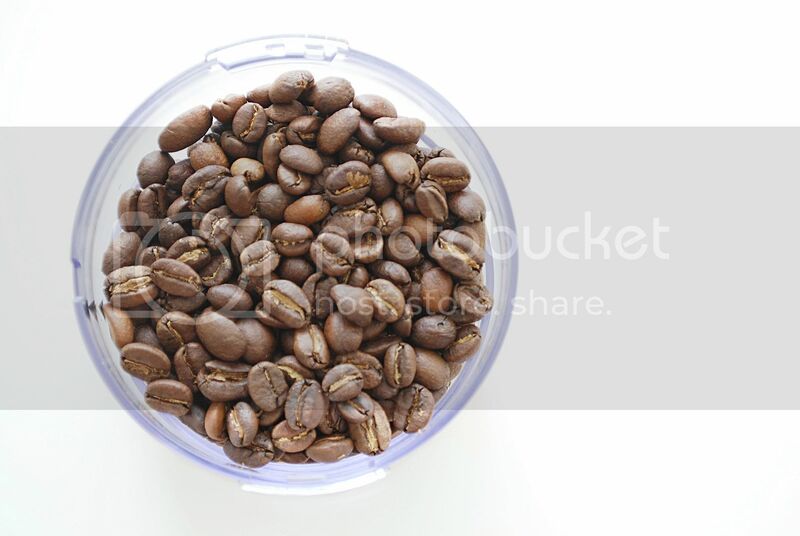 The packaging is fresh and simple and the 100% Arabica house blend whole beans are just gorgeous. Not to mention how amazing they smell! 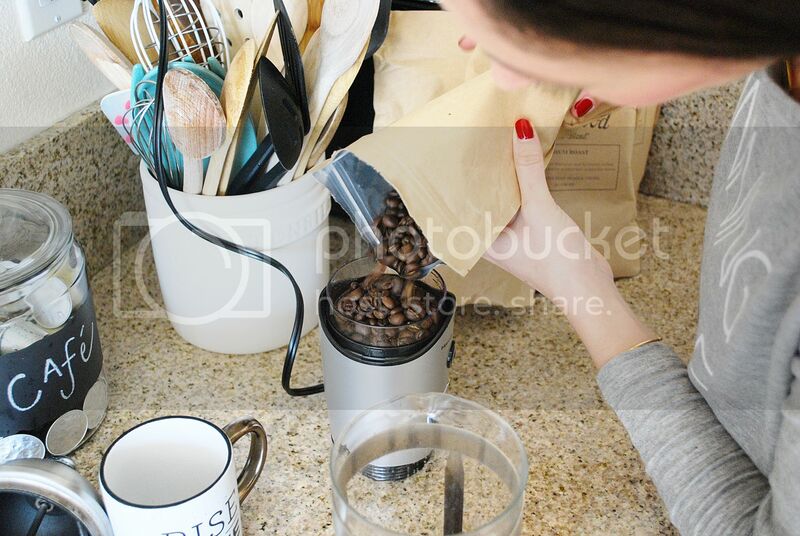 There is just something so good and delicious about grinding whole coffee beans and brewing your own fresh coffee in the morning. 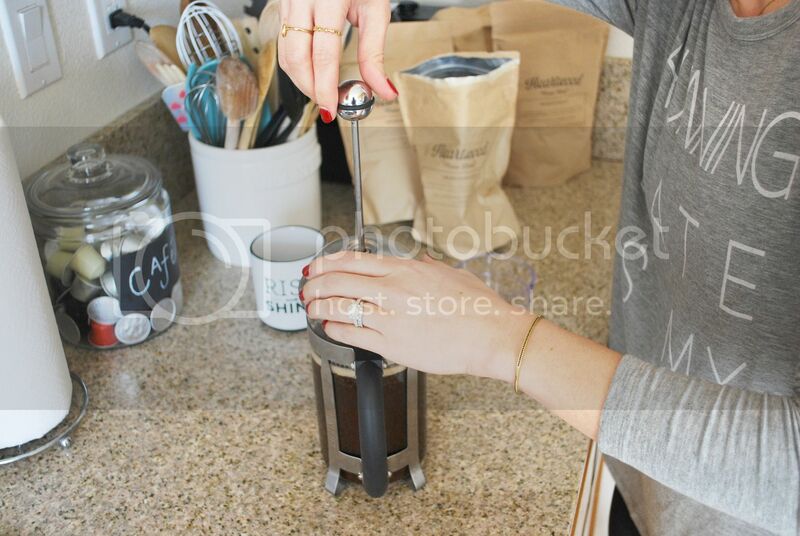 Never made french press coffee before? No worries! 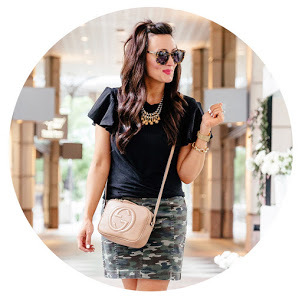 My beautiful cousin (@nat_tasteslovely) explains exactly how to make it in her blog post here. 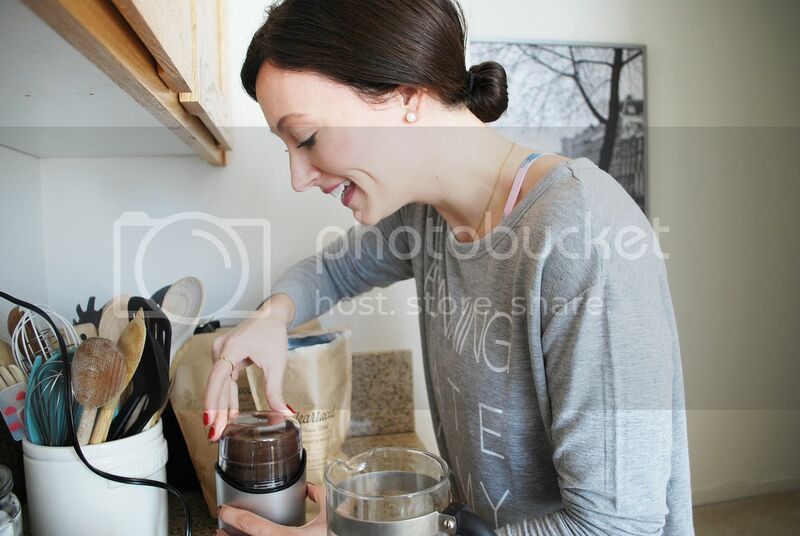 Don’t own a french press? Don’t worry, William Sonoma has them for under $40 here. 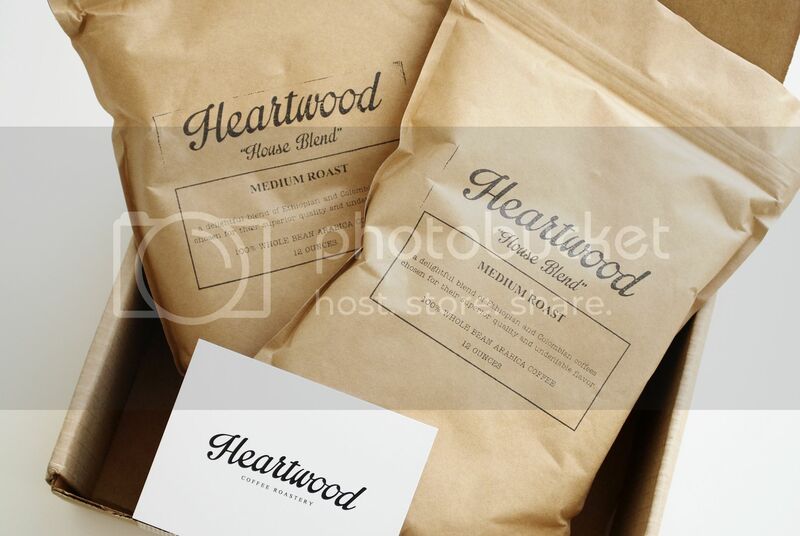 Want to try a Heartwood Coffee Club monthly subscription and need a sweet deal to get started? Well, you’re in luck! 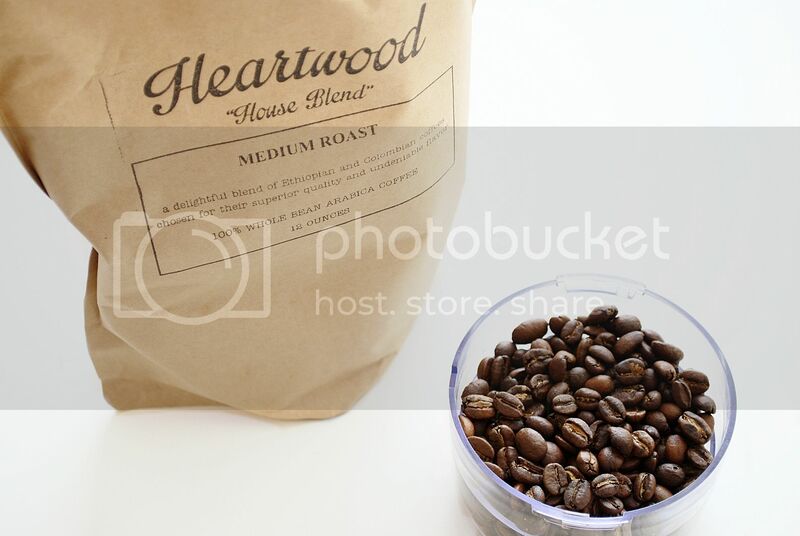 Heartwood Coffee club is giving you 25% off your first order with the promo code BEAN. Oh! And shipping is always free. I mean, it’s just so easy! 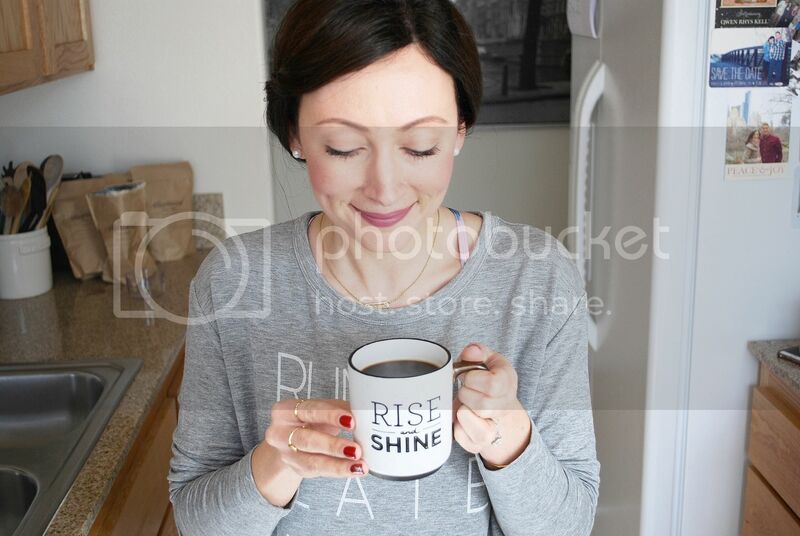 Happy coffee drinking! 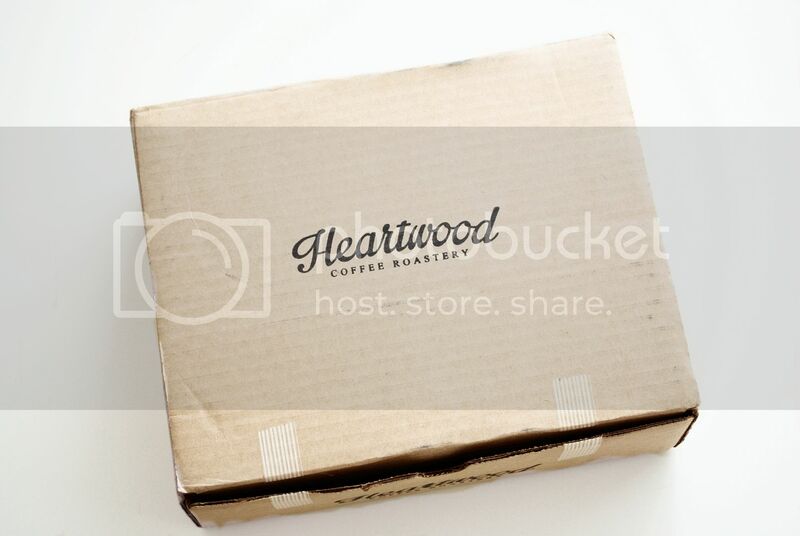 *Thank you to @heartwoodroastery for sending me your delicious coffee and for sponsoring this post. All opinions are my own.